brandvorwerk-pr is a professional firm that brings it’s expertise in establishing the right networks that meet the client’s unique interest and needs. The agency has outstanding network capacities in the fields of press work, conception, photography, TV and radio, online-communication, social media, graphic design and layout, lectorate, event management, and trade fair related public relations. The agency’s owner, Susanne Tenzler-Heusler, majored in German studies and also received a degree in law and communication sciences. She worked as a freelance journalist for the German public-TV channel 2 (ZDF) and the Saxon newspaper (Sächsische Zeitung) from 1998 until 2002, during which she won numerous media awards. From 2002 until 2007 she established the press and PR department of the world’s largest trade fair for games, the GC-Games Convention in Leipzig. From 2002 until 2009 she had been press relations officer of the Leipzig book fair. 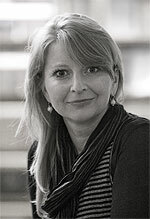 Therefore she brings connections of national and international networks of the creative and game industry, the German publishing landscape and further more into print and online media.